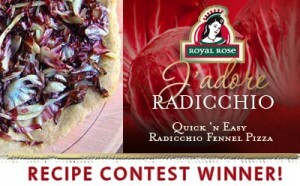 Cut the radicchio in half and slice each half crosswise into thin ribbons. Mix radicchio and fennel in a medium bowl. Dress with olive oil, salt and pepper. Place pizza crust on a baking sheet and bake for 7 minutes, or slightly golden, but not crunchy. 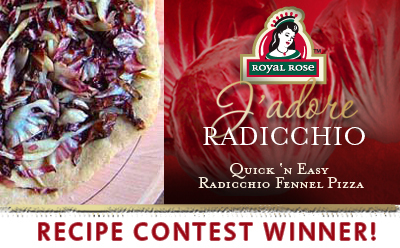 Scatter the dressed radicchio and fennel over the pizza crust. Return pizza to the oven for another 3 to5 minutes or until the radicchio and fennel are warm and just starting to wilt.